If you read too much news you might believe that Samsung Galaxy Note 7 smartphones are exploding all around the globe like miniature incendiary devices. You might even think that lithium-ion batteries are the work of an evil empire intent on spreading terror throughout the civilized world. 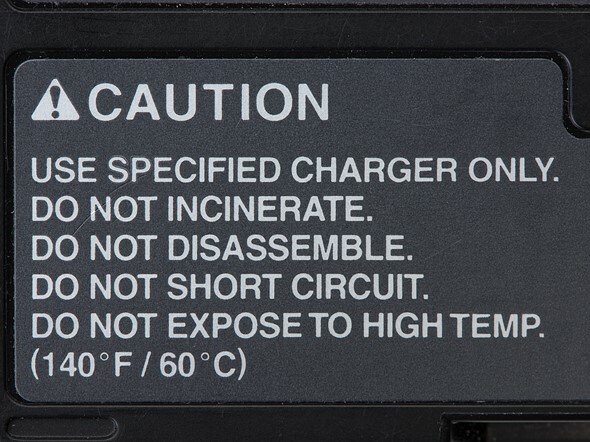 Indeed, these combusting batteries have caused a good deal of concern, if not terror, and many consumers are questioning how safe the lithium-ion cells we use in our cameras are. It is worth pointing out at this stage that of the over 2.5 million Galaxy Note 7s that were shipped before they were withdrawn only around 90 had over-heated, and fewer again had actually caught fire. A 90 in 2.5 million hit rate wouldn’t be reported if we were talking about the phone’s microphone not working, but as the potential is a pocket, handbag, house or hand actually catching fire the frequency of occurrence is obviously way too high. The good news is that the lower capacity batteries you pack in your camera bag are much less likely to cause a newsworthy scene than that in the Note 7, and by following some simple precautions you’ll be just fine. What makes lithium batteries catch fire? Smartphones need an astonishing amount of power to run the processors that control their multitasking activities, and the battery in the Samsung Galaxy Note 7 is rated at 13.48Wh. That’s a lot more powerful than most camera batteries – the EN-EL15 used to power the Nikon D810 for example is 11.8Wh. Seen here: a Samsung Galaxy Note 7 that did not burst into flames. The Note 7 battery is designed to be used in a device that Samsung wants to be as thin and as light as possible, so the battery has to be as thin and light as it can be made. That means we have a lot of charge in a very tight space. Lithium-ion cells are ideal for this sort of task as they are able to hold twice the charge of traditional metal cells such as nickel-cadmium and they are much lighter – lithium is the lightest metal element. Problems arise in batteries for a number of reasons, but most center around some sort of short circuit between the positive and negative electrodes. Such short circuits allow energy to flow through the cell un-resisted which causes a build-up of heat that can lead to a fire. In a lithium-ion cell the cathode (positive) and anode (negative) electrodes are immersed in an electrolyte conductive fluid and are kept apart by a porous barrier called a separator. During charging, and while the battery is being used, lithium-ions use the electrolyte fluid to travel between the anode and the cathode, passing through the porous separator on their way. At the same time, electrons pass between the anode and cathode via the device the cell is powering or the charger. If the separator is flawed it might allow electrons to travel between the two electrodes – a short circuit. If this happens the cell will begin to overheat. Problems can occur if the electrolyte fluid in the cell is contaminated with metal particles or if the separator is just too weak to do its job. The separator can also begin to break down when external temperatures are very high. The breakdown of the separator and the consequent unimpeded contact between negative and positive electrodes within the cell lead to a build-up of heat that can’t be dissipated, which subsequently leads to further break down within the structure of the cell. This spiraling build-up is called ‘thermal runaway’ and the immense heat generated can make the cell and battery expand or explode. As most battery packs contain multiple cells to build voltage the breakdown in one will often overheat its neighbors and the reaction will be permeated through the entire unit. The cell doesn’t need to have a manufacturer’s flaw to catch fire either, as any physical damage to the battery can rupture the separator or the individual chambers, allowing electrons to flow freely within the cells creating a short circuit. It only takes a tiny breach of the separator for thermal runaway to occur, as any breach will create heat that will further damage the separator and make a tiny hole bigger as the temperature rise accelerates. How does this effect camera batteries? Camera batteries tend not to pose such a high risk as they don’t contain as much energy as phone batteries do, but they can still be the cause of a fire if they aren’t treated correctly. Airlines allow lithium-ion batteries to be carried in carry-on luggage as if there is a fire it can be dealt with more easily in the cabin than it can in the hold. There are however restrictions on how many batteries can be carried in one place. Some airlines recommend that the contacts are covered with electrical insulating tape to prevent them coming into contact with anything that might create a short circuit. As you probably know, traveling with consumer electronic and medical devices containing lithium cells or batteries (e.g. watches, calculators, cameras, cell phones, laptops, camcorders, hearing aids, etc.) is allowed onboard as carry-on. Spare lithium batteries are allowed as carry-on only, and must be individually protected to prevent short circuits. * Pack spare batteries in carry-on baggage. * Keep spare batteries in the original retail packaging to prevent unintentional activation or short-circuiting. * If original packaging is not available, effectively insulate battery terminals by isolating spare batteries from contact with other batteries and/or metal. * Specifically, place each battery in its own protective case, plastic bag or package, or place tape across the battery’s contacts to isolate terminals. * Take steps to prevent crushing, puncturing, or putting a high degree of pressure on the battery, as this can cause an internal short circuit, resulting in overheating. Passengers are permitted to travel with lithium-ion batteries that contain a maximum of 160 watt hours per battery. Any lithium-ion battery containing more than 160 watt hours is prohibited from carriage on all passenger aircraft. lithium-ion batteries installed in a personal electronic device can be transported as checked or carry on baggage. lithium-ion batteries not installed in a device (spares) must be in carry-on baggage and no more than two (2) spares between 100 and 160 watt hours are allowed. Fortunately there is no cause for alarm on the part of most photographers. We need to remember that lithium-ion batteries pose a risk if not taken care of and if we are careless about where we buy them. Chances are that if you use the battery that came with your camera and spares from the manufacturer or a well-known third party, you will never have an issue. Just be careful not to puncture the cell and to handle damaged batteries with extreme caution. 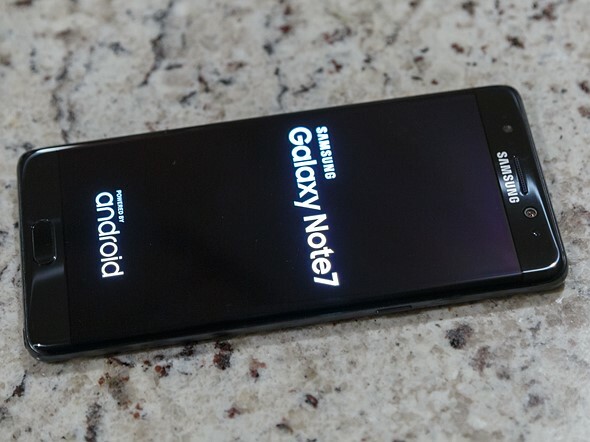 Another point worth noting is that the battery in the Galaxy Note 7 was installed in the phone and not designed to be removed, so it had a softer, less protective exterior shell. 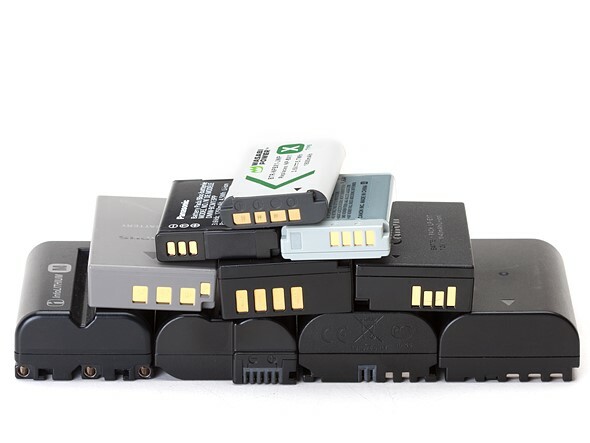 Most camera batteries are packed in hard plastic casing and are unlikely to split or rupture, or become critically damaged internally as a result of impact. Camera batteries can catch fire like those used in the Samsung Galaxy Note 7, but you’ll have to go out of your way to make them do so. They won’t explode on their own accord and they are pretty unlikely to even overheat unless you forget to treat them with the respect they are due.